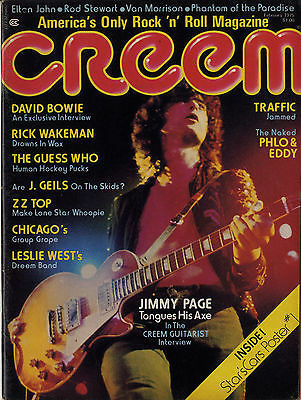 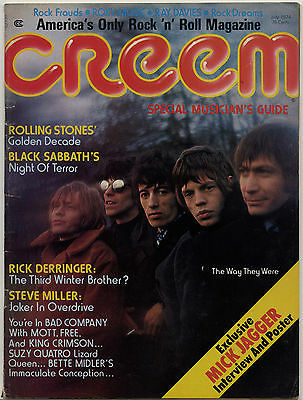 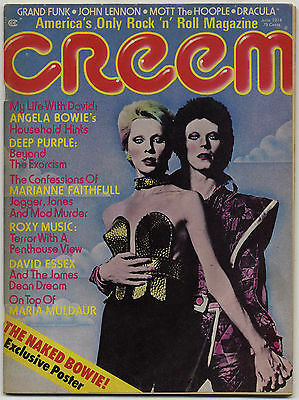 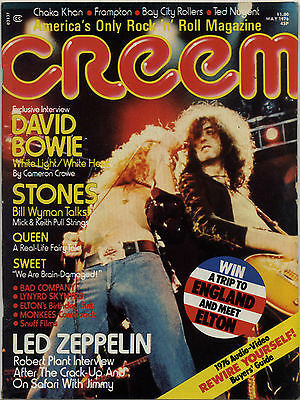 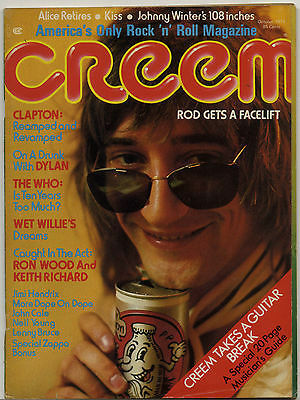 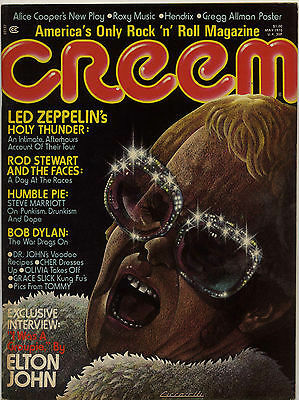 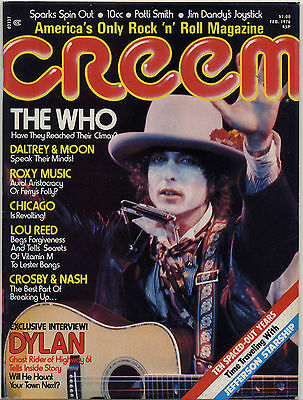 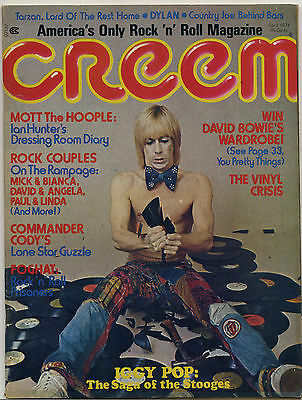 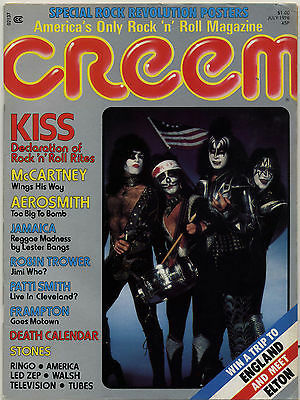 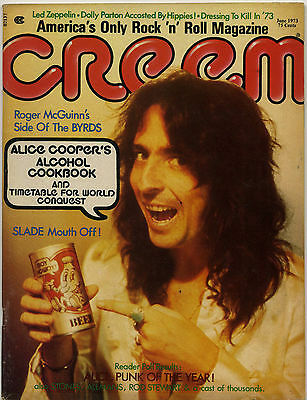 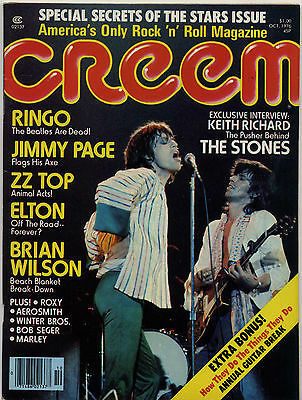 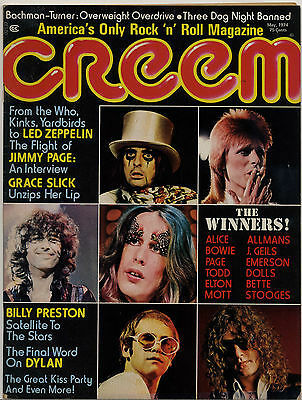 CREEM magazine, respectfully described as "America's only rock 'n' roll magazine", was a monthly rock music magazine first published in March 1969 by Barry Kramer and Tony Reay. 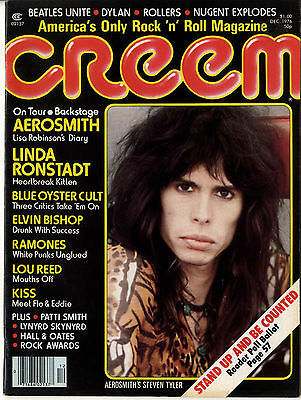 It ceased production in 1989. 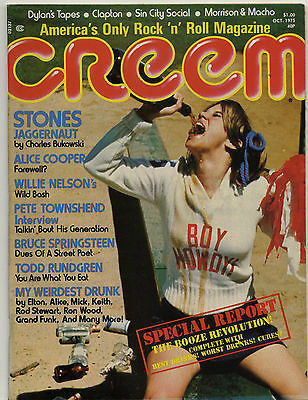 Lester Bangs became editor in 1971. 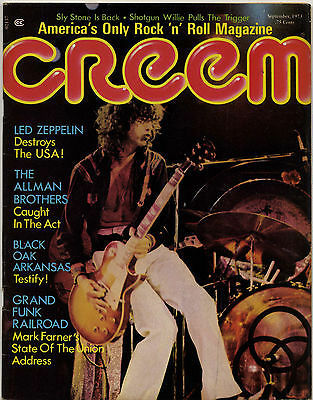 The term "punk rock" was coined by Creem in May 1971, in Dave Marsh's Looney Tunes column while referring to Question Mark & the Mysterians. 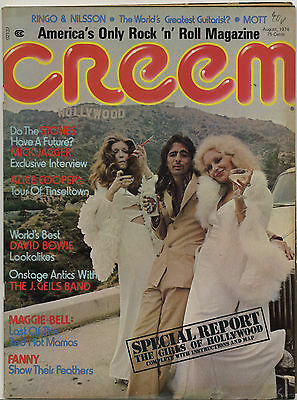 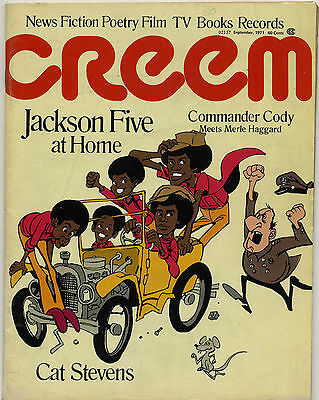 Creem championed many acts like Lou Reed, Bowie, Roxy Music, Motorhead, Kiss, REM, The Cure and The Smiths long before the mainstream had cottoned on. 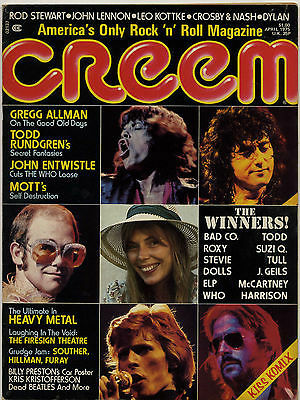 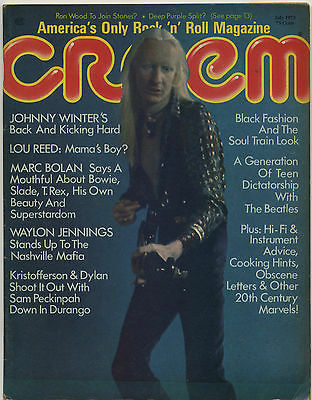 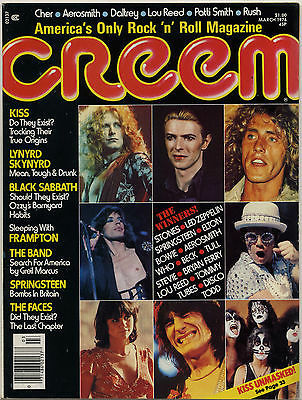 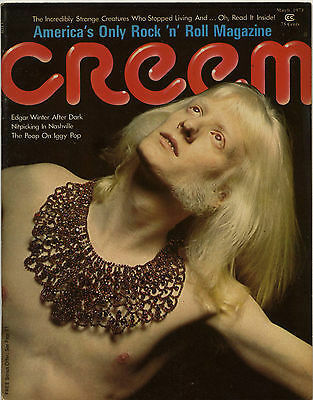 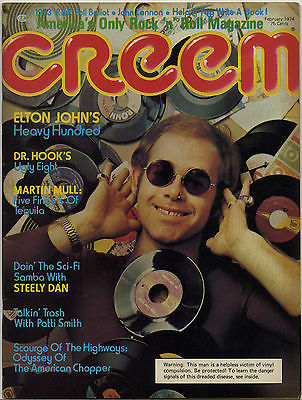 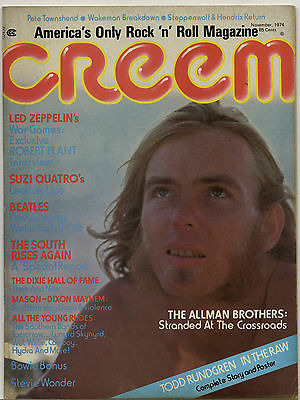 Publishers, editors and writers for CREEM magazine included Barry Kramer, Lester Bangs, Ed Ward, Richard Riegel, Ric Siegel, Robert Christgau, Richard Meltzer, Nick Tosches, Greil Marcus, Jeffrey Morgan, Rob Tyner, Patti Smith, Peter Laughner, Cameron Crowe, Charlie Auringer, Jaan Uhelszki, Penny Valentine, John "The Mad" Peck, John Mendelsohn, Cynthia Rose, Sylvie Simmons, Chuck Eddy, Robert Duncan, Colman Andrews, Jim Esposito. 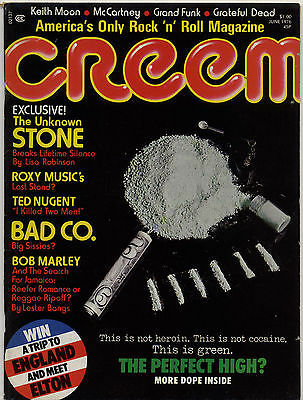 Highly collectible expertly written magazine. 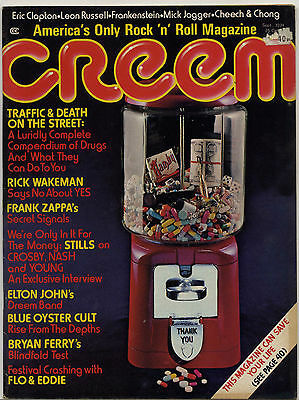 Prices are negotiable for multiple purchases.